These guys and girls have a reputation for being one of the best corporate bands in the country and can be often seen and heard in various cities around Australia. They are incredibly versatile and have the ability to perform across many different genres. With a focus on being overtly entertaining while performing smooth jazz to heavy rock and everything in between. It’s rare to find a band that can deliver the finesse of Norah Jones or Sade as well as convey the raw power of AC/DC and then deliver the funk of Bruno Mars or James Brown. No matter what song or genre, it’s always amazingly good. The Accidents also perform an all Aussie music show, A 70’s Disco show, and a Brazilian show featuring Brazilian singer Daniela Ismerio De Soza and Brazillian dancing girls. 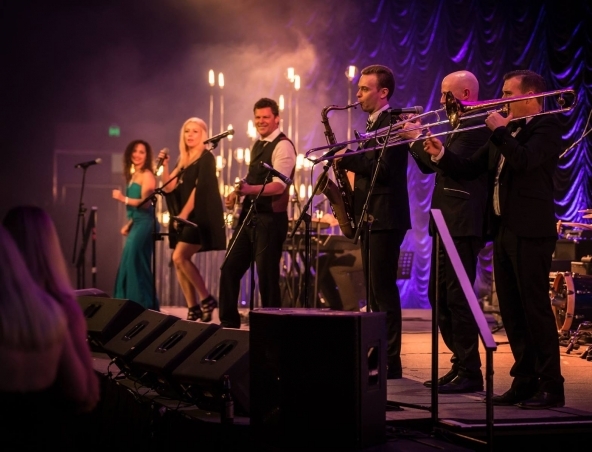 The full 8 piece band features an all dancing horn section, a monster drummer, two amazingly gorgeous female singers, an award winning guitar player and a multi-instrumentalist keyboard player.